Where can I add content? “Advanced Shortcode” is an advanced module for adding dynamic content on your PrestaShop website pages. Whereas other content adding modules only work for CMS pages, the “Advanced Shortcode” module allows you to embed visual elements or links into any text field that has an editing toolbar. Whether on a CMS page, in a product file or even on a brand description, you can enrich your site with as many elements as you want. The content adding is dynamical. If, for example, you insert a link to a product and this link changes, no need to redo the insertion, the link will be automatically updated. Same for all the items you add. A video (supported platforms: YouTube, DailyMotion, Vimeo). The module allows you to define the size of the viewing window and to activate the autoplay and/or loop modes. 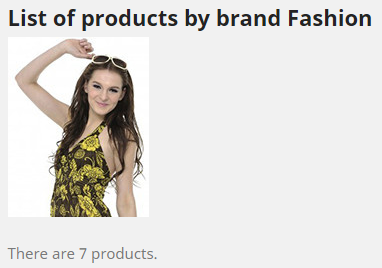 Shop element (product, category, brand, supplier, CMS page). For each element, you can choose to display either its name, its link or its image. You have the possibility to make the display clickable and to direct to the concerned page. The module also allows you to select the display language. No configuration of the module itself or any technical knowledge is necessary (no need to edit your templates!). You can use the module as soon as it is installed. When you click on “Configure”, you get a page that explains how the content adding tool works and that shows you some examples developped again below. Here are 4 examples that will help you to understand how the module works. Let’s say you want to insert in a CMS page of your site a video showing the use of your products. Let’s say you want to insert in the description of one of your products the testimony that a customer has posted on your Facebook page. Let’s say you want to insert in the image of a category in the CMS page of the corresponded brand. This feature is provided on an experimental basis and is reserved for people with technical knowledge. Our technical support team will not help you for this feature. 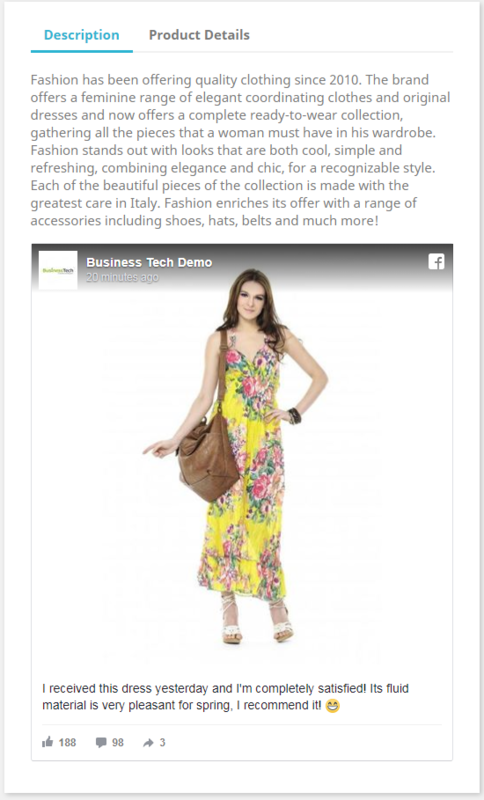 Let’s say you want to use the PrestaShop “Banner” native module to display a banner on your “About us” CMS page.